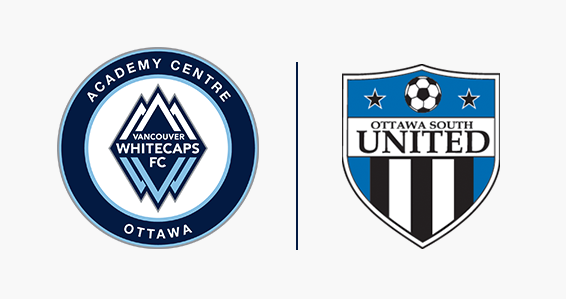 Vancouver Whitecaps FC announced on Monday the launch of a new Whitecaps FC Ottawa Academy Centre in partnership with Ottawa South United. This will be the club's second academy centre in Ontario, joining the London Academy Centre in partnership with Elgin Middlesex Soccer Association which was launched last year. "We're very excited to start a new Academy Centre in Eastern Ontario with such a prestigious club as Ottawa South United," said Whitecaps FC president Bob Lenarduzzi. "We have done a yearly combine project with OSU, and both parties felt it was time to expand this into a full partnership. We have a shared vision for soccer development in Canada and together, we look forward to providing new and expanded opportunities and a clear pathway for local players and coaches." OSU is the largest and one of the most successful soccer clubs in Ottawa, as well as one of the most highly regarded development clubs in the province of Ontario and Canada with approximately 6,700 registered members. The club has a full development academy, the OSU Force Academy, and high performance teams in the Ontario Player Development League (OPDL). 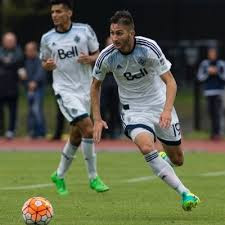 Whitecaps FC currently have five players in the Residency program from the Ottawa area. Since 2014, OSU have sent four players to the Whitecaps FC Residency program, including Vana Markarian who is now attending Columbia University and was recently named Ivy League Rookie of the Year, as well as current U-15 midfielder Matteo de Brienne. Also among OSU male alumni is current Millwall and Canada U-20 player Kris Twardek. On the women's side, OSU have produced Canadian U-15 national team player Isabella Hanisch, as well as former Canada U-15 and current Sweden U-16 national team player Mollie Eriksson, and Ghana U-17 national team player Kayza Massey. For more information on Ottawa South United, visit osu.ca. "OSU is delighted to be partnering with a club with the history of Vancouver Whitecaps FC," said Bill Michalopulos, the founding and current president of OSU. "This is not only great news for the OSU players and coaches, but for all soccer players in our region as it will serve as a catalyst for soccer improvement for the whole Ottawa Capital region and Eastern Ontario. Our Board is very excited about the enhanced opportunities that this partnership will provide for our players, coaches, and club. We're very proud of what we have been able to achieve as a club, and we are hoping that this will complete our club model and player pathway in Canada to Vancouver Whitecaps FC. It's really the right move at the right time for our organization, now and for the future." Whitecaps FC and OSU will work collaboratively together to align the academy centre with OSU development programs to create a complete pathway, culminating in OSU OPDL teams becoming a feeder program for scouting and recruitment into Whitecaps FC full-time professional development programs in Vancouver. The Ottawa Academy Centre will also work closely and collaborate on programming with the Whitecaps FC London Academy Centre in Ontario. Whitecaps FC, in collaboration with OSU, will place a regional head coach in Ottawa that will be combined with visits from Vancouver staff and London based staff. Final program details will be determined over the next couple months with program launch toward the spring of 2017. With two centres now in Ontario, the Whitecaps FC Academy Centre network totals 19 locations in eight of 10 provinces across Canada, including 10 locations in British Columbia and provincial association partnerships in Alberta, Manitoba, Newfoundland and Labrador, Nova Scotia, and Prince Edward Island. The club's first provincial affiliation was with founding provincial partners BC Soccer, which includes working together on the EA SPORTS BC Soccer Premier League, the BC Soccer High Performance program, the Girls Elite BC Regional EXCEL Centre (REX), and the boys Residency program.For more information on Whitecaps FC Academy Centres, visit whitecapsfc.com/academy.